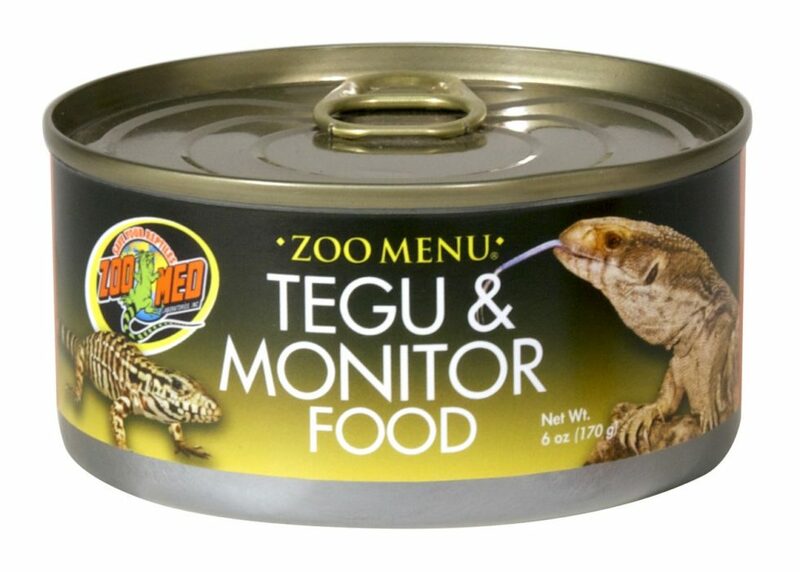 Zoo Menu® Tegu & Monitor Food | Zoo Med Laboratories, Inc. The first commercially available food developed for large carnivorous lizards. Tegu & Monitor Food is made with real chicken and soybeans to provide the high protein levels that carnivorous reptiles need. Water Sufficient for Processing, Chicken, Soybean Meal, Ground Corn, Wheat Mill Run, Dried Kelp, Brewers Dried Yeast, Guar Gum, Choline Chloride, Riboflavin, Niacin, Thiamine Mononitrate, Pyridox- ine Hydrochloride, Vitamin B12 Supplement, Menadione Sodium Bisulfite Complex (Source of Vitamin K activity), Calcium Carbonate, Vitamin E Supplement, Vitamin A Acetate, Folic Acid, d-Calcium Pantothenate, Vitamin D3 Supplement, Biotin.